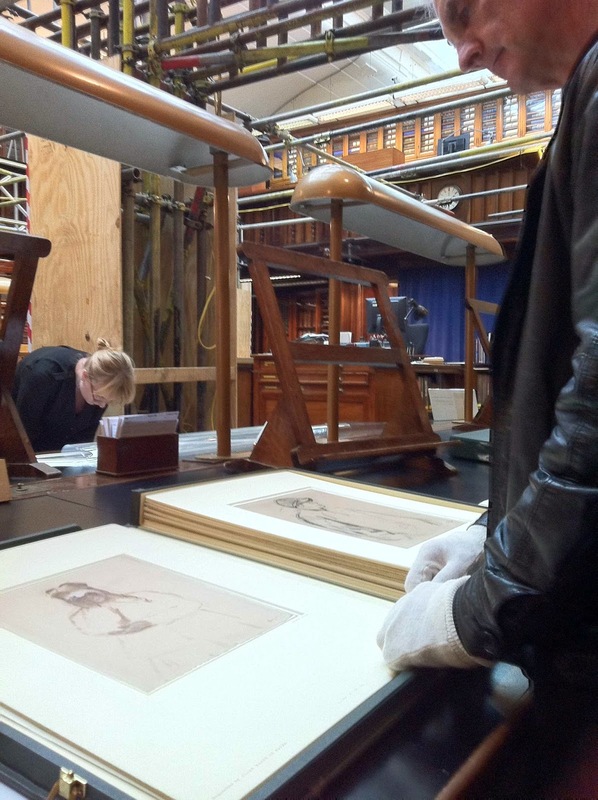 During our visit to London in April, Shane and I spent two memorable afternoons in the Prints and Drawings Room of the British Museum. 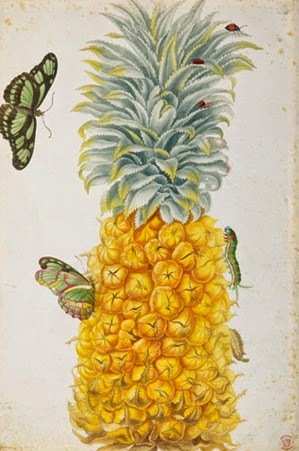 My primary aim was to view works by the artist-naturalist Maria Sibylla Merian (1647-1717) including her album of 91 drawings entitled Merian's Drawings of Surinam Insects. Having this magnificent volume entirely to ourselves to study in depth - and tranquility - was an experience I will never forget. 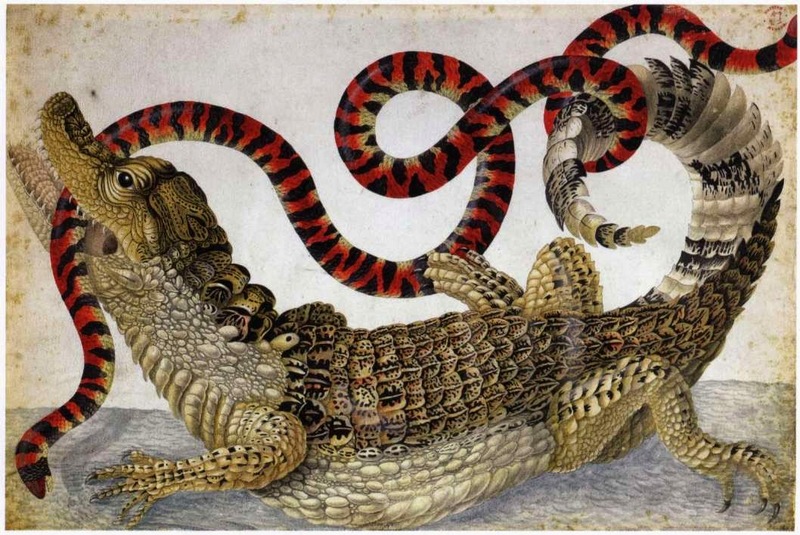 Among the album's standouts were the Common or Spectacled Caiman and South American False Coral Snake, and Pineapple (with examples of a caterpillar, chrysalises, two butterflies and a beetle). Both works are pictured directly below. On the second day we also perused selected works on paper by Hans Holbein, Henri de Toulouse-Lautrec, Eric Gill and Edgar Degas. Despite undergoing extensive construction work, the Prints and Drawing Room was a peaceful haven compared to many of the main galleries of the BM. Every time we entered the building it sounded like a football match was in full swing. On our way to the Prints and Drawings Department, we gingerly navigated a path through hoards of rowdy visitors mindlessly snapping selfies in front of mummy cases. 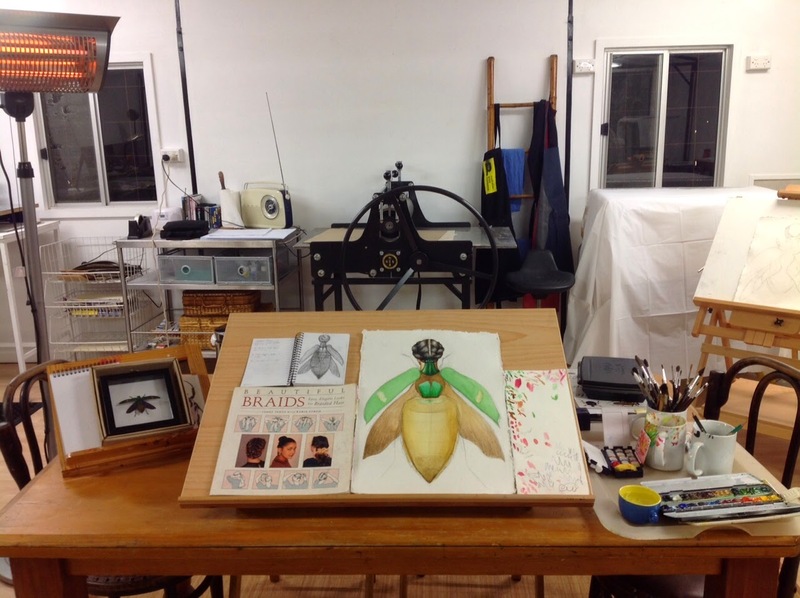 Shane pores over a folio of drawings by Edgar Degas. 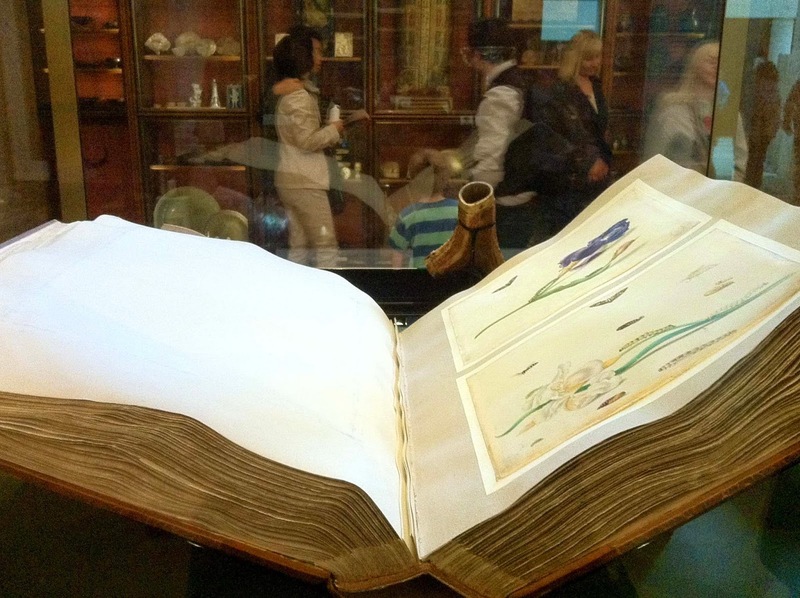 Considerably less hectic was the Enlightenment Room, which resembles an elaborate Cabinet of Curiosities. It’s an enchanting world completely unto itself and is unquestionably one of my favourite rooms in the British Musum. 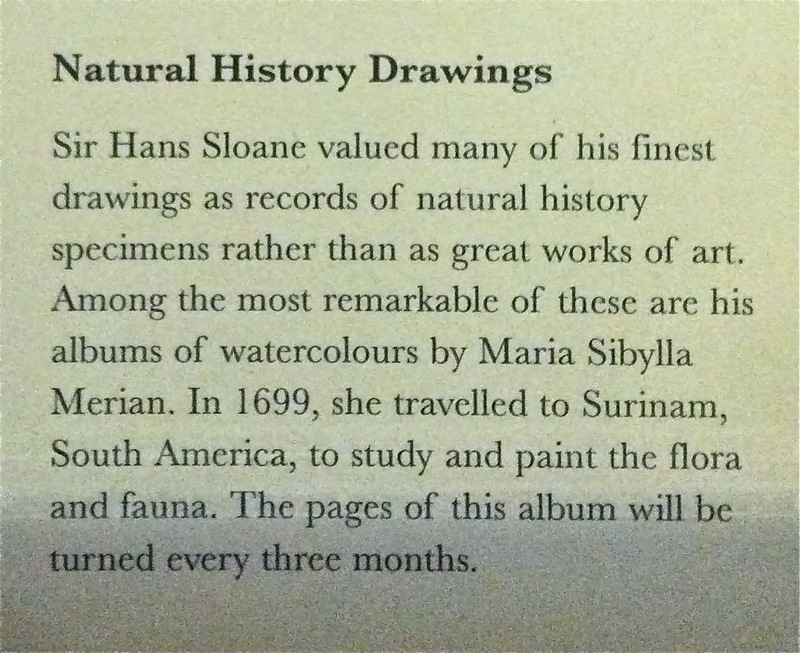 On display was an album of watercolours by Maria Sibylla Merian. Sadly, I’m not in a position to call in every three months when one of its pages is turned. It’s going to take awhile to process all that I saw and experienced in the UK, particularly in regard to its possible impact on my work. 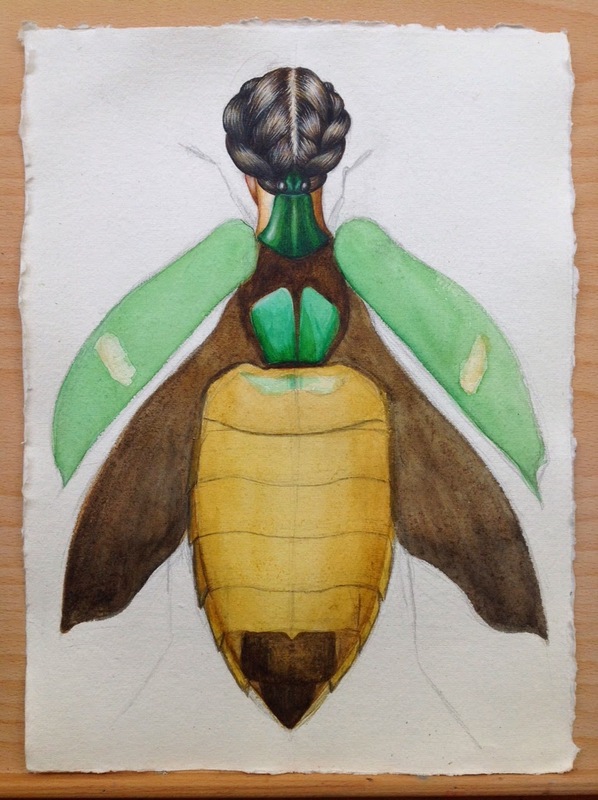 But as I tentatively begin a new watercolour in the Ballarat studio, I'm already wishing I could magically transport myself back to London to see those Maria Sybilla Merian watercolours again. 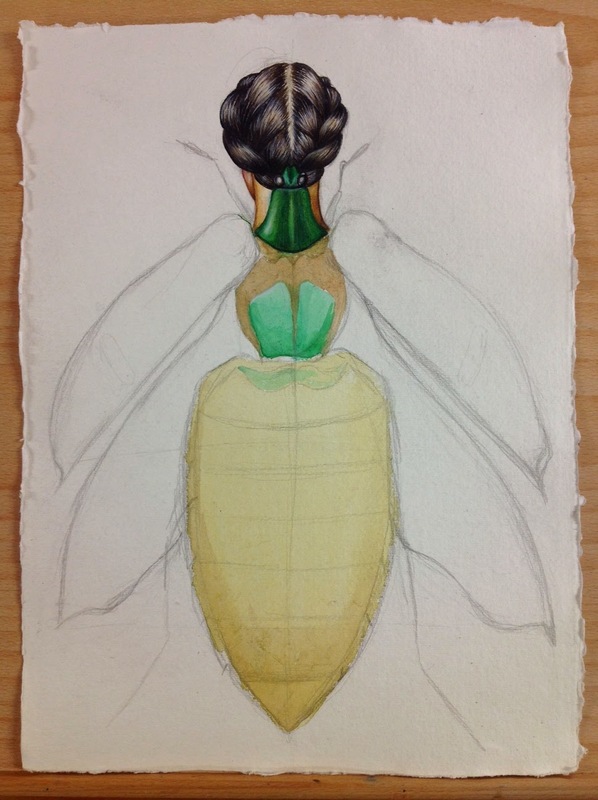 Directly below: early stages of Catoxantha opulenta beetle woman, 2014, watercolour on A3 Khadi paper. 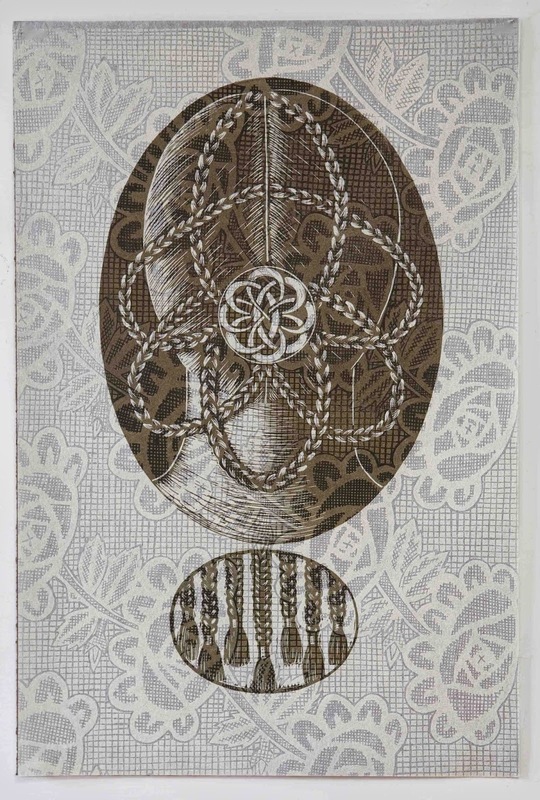 Watson examines this complex theme through a diverse range of works, encompassing photography, printmaking, video, jewellery and sculpture. Pat Brassington, Lyndell Brown /Charles Green, Jazmina Cininas, Shaun Gladwell, Rona Green, Clare Humphries, Deborah Klein, Yuri Kawanabe, Christian Thompson and Anne Zahalka. Roseanne Bartley, Eric Bridgeman, Cate Consandine, Troy Emery, Kate James, Claire McArdle, Polixeni Papapetrou, Deborah Paauwe, Hannah Raisin, Tania Smith, Jacqui Stockdale and Hiromi Tango. To learn more about Anon and the context in which it was created, click HERE. Seventh Skin opens on 18 June and runs until 2 August. The opening event is on Thursday 26 June, 6-8 pm. Councilor Craig Landon, Mayor of Banyule Council and Associate Professor Robert Nelson, Monash University will launch the exhibition. 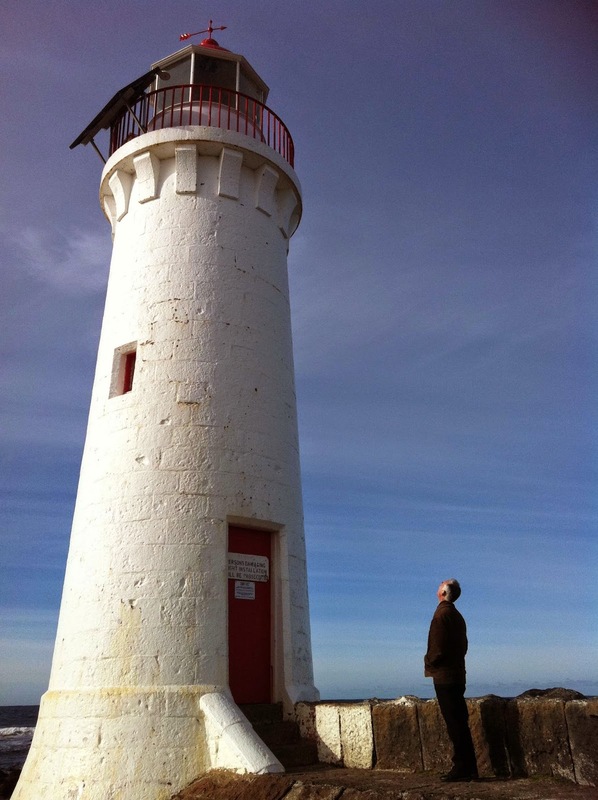 I’ve just returned from three days of sampling the varied delights of this year’s first Winter Weekend at Port Fairy in South-western Victoria. Jo Canham, Director of Blarney Books and Art had invited me to co-judge one of its main events: the 6th Biblio Art Awards. My fellow judge was local artist Essie Warmuth. Essie and I were overwhelmed by the sheer diversity and inventiveness of many of the entries, which made singling out a single work as Grand Prize winner that much more challenging. 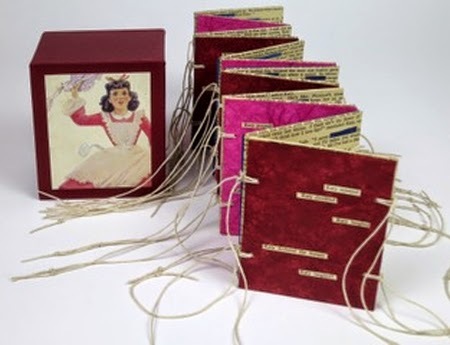 In the end, however, we chose the artist book What Katy Did, by Avril Makula. Other award winners were Polyanna Guthrie (Youth Award) Helen Fitzhardinge (Storytellers Award) Anne-Maree Hunter (3D award – sponsored by Bluestone Magazine). Nine-year-old twins Tom and Darcy Lynch also received an encouragement award for their entry. To learn about Biblio, visit Blarney Books and Art and Bluestone Magazine. 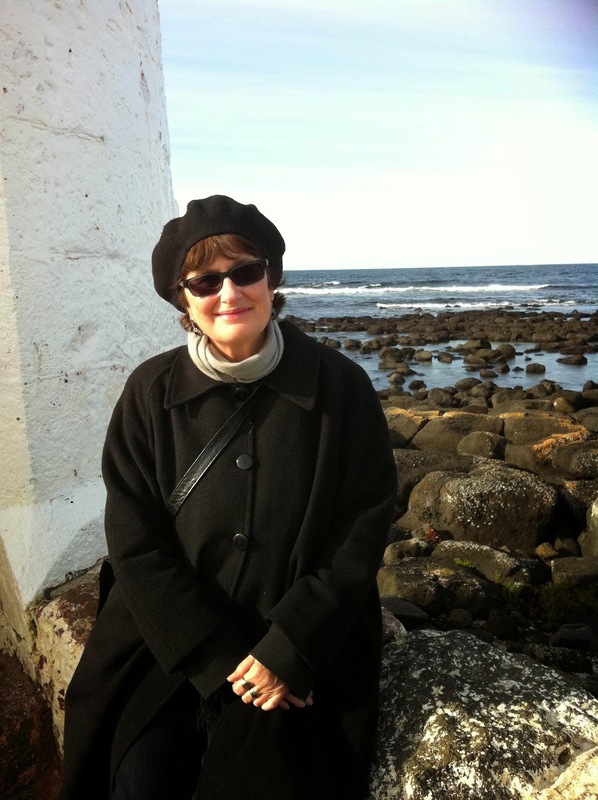 For more about Avril Makula’s prize-winning entry, What Katy Did, visit Moth Woman Press. The Prize Winners were announced on Saturday evening at the lively, crowded opening of Biblio. 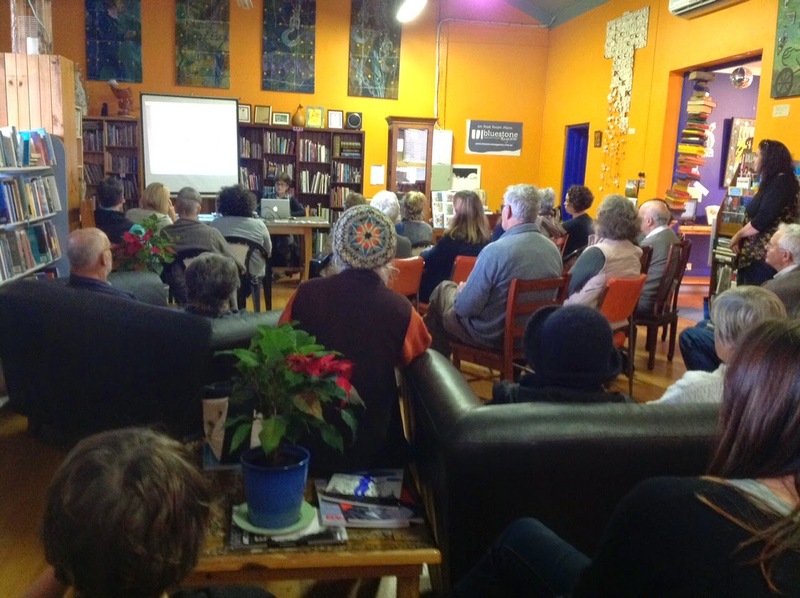 On the following day at 3 pm I gave an artist talk at Blarney Books and Art. We had a full house - and what a wonderfully warm, attentive and enthusiastic audience they were. 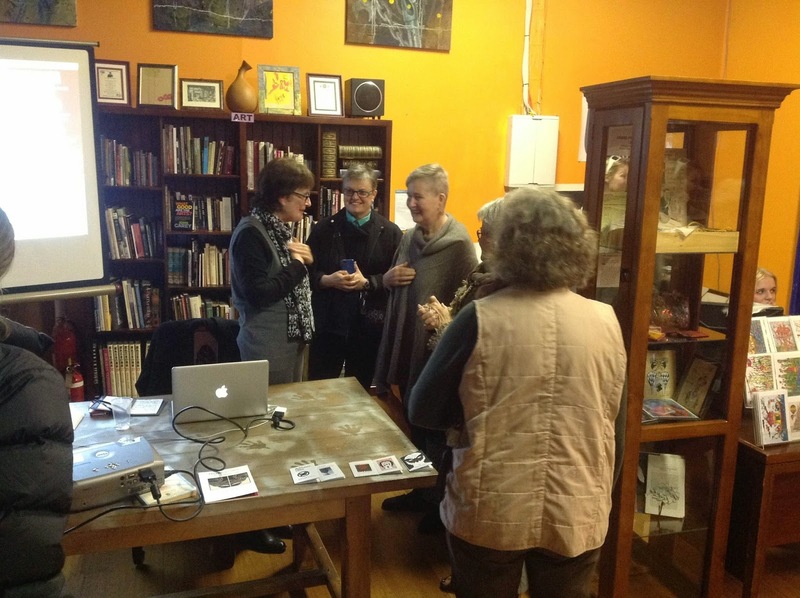 Artist talk at Blarney Books and Art. 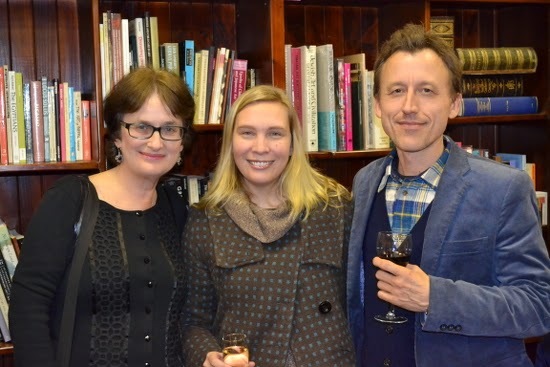 Blarney Books Director Jo Canham is on the far right. Over the course of the long weekend I met some terrific people, caught up with several old friends and saw some stunning book art. Somehow we also found time for sightseeing. 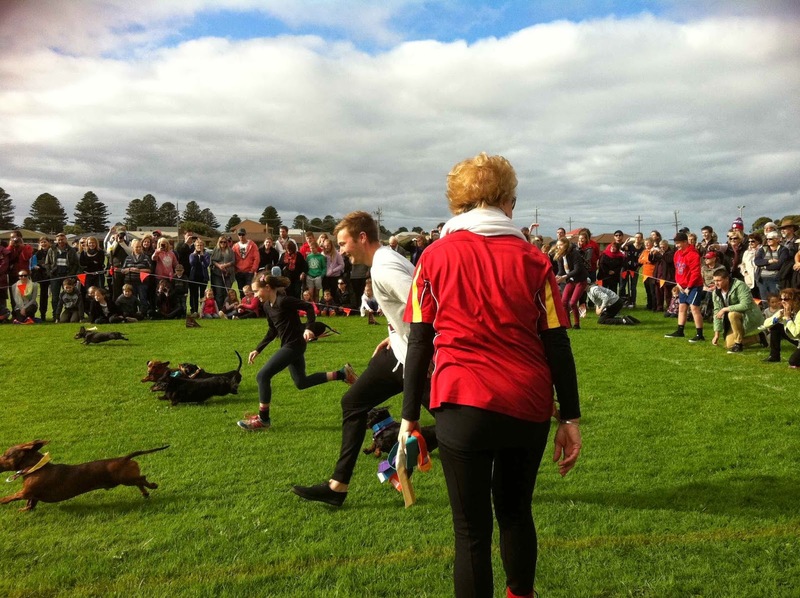 We also managed to catch Winter Weekend's only sporting event: the thrilling Dachshund Dash, which was enormous fun (see directly below). Our old friends Jazmina and Jonas entered their dog Trouble in the Mixed Breeds race. There was no doubting Trouble's enthusiasm, but unfortunately he ran in the wrong direction - several, in fact. During their making you can see the strength of the relationship that exists between writing and drawing through the ease with which a trained hand will freely move between the two. That is, I suspect, because both are part of our literacy, both are tools of representation and both designed as methods of managing multidimensional matter. What separate them are alphabets, dictionaries and the way they are read. Last Saturday afternoon Shane and I attended the opening of a superb exhibition by painters Craig Gough and Wendy Stavrianos at Langford 120 gallery. It was also the occasion for the Australian launch of the drawn word. The publication's primary aim is to delineate the relationship between writing and drawing, expanding upon ideas originally presented at the third Drawing Out conference, University of the Arts, London in 2012. It is divided into key sections: Definition, Transmission, Application and Representation. 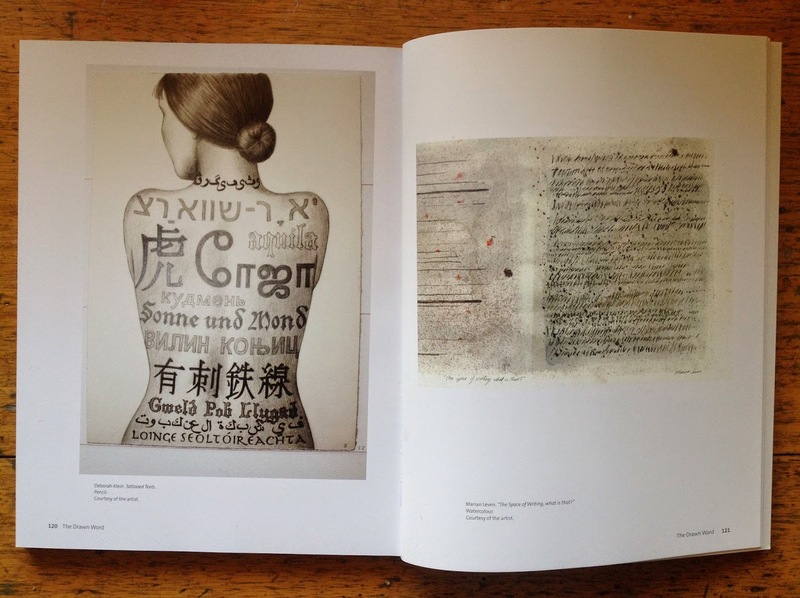 My drawing Tattooed Text, 2012 is one of the illustrations that responds to the fifth and final chapter, All Writing is Drawing by Irene Barberis and Janet McKenzie. The artist statement that originally accompanied my drawing is quoted in the book. To read it, click HERE. 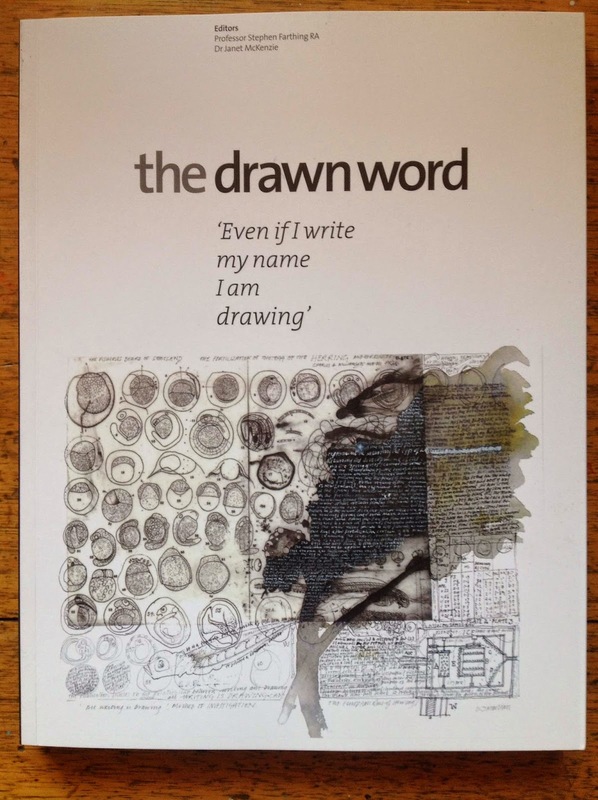 the drawn word was edited by Professor Stephen Farthing, RA and Dr Janet McKenzie and is published by Studio International and The Studio Trust, New York, NY, USA (2014). 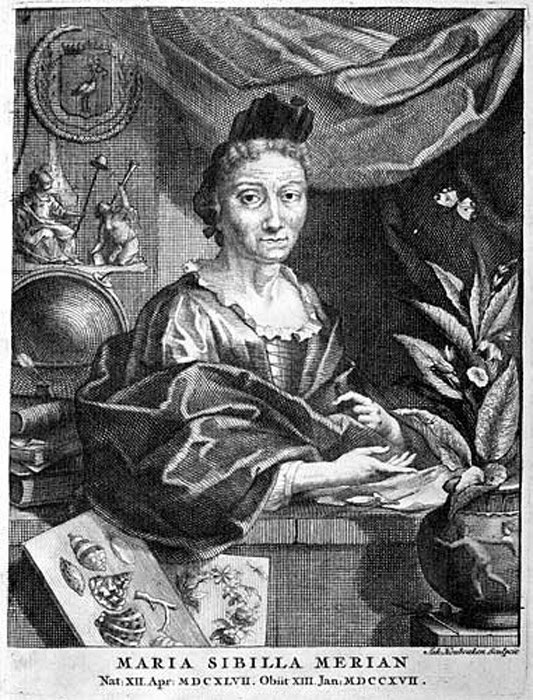 Dr Irene Barberis. 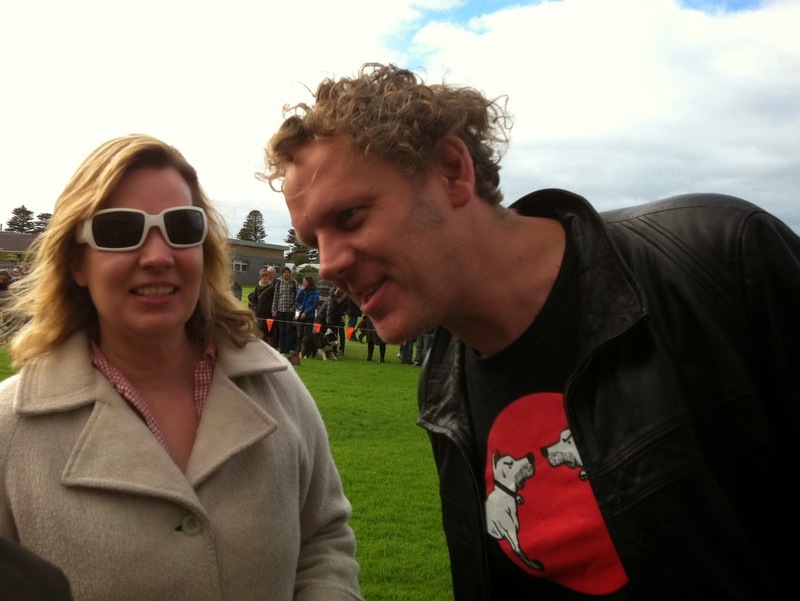 In the background to her right (in blue sweater) is Craig Gough. The painting far right is by Craig.